The wedding season is long and even a professional bride like me needs a weekend off. And where better to escape all routine than Hanko, the Finnish version of the Caribbean, 137 km from the capital Helsinki. I’d promised myself I wouldn’t write about my visit, but what do you know… The creative juices started flowing as soon as I saw the endless horizon! Even though I live by the sea, I don’t always see it or have time to really appreciate it. At Villa Tellina in Hanko I couldn’t take my eyes off it. It was a bit like when you first get a crush on someone: You take every opportunity for eye contact. 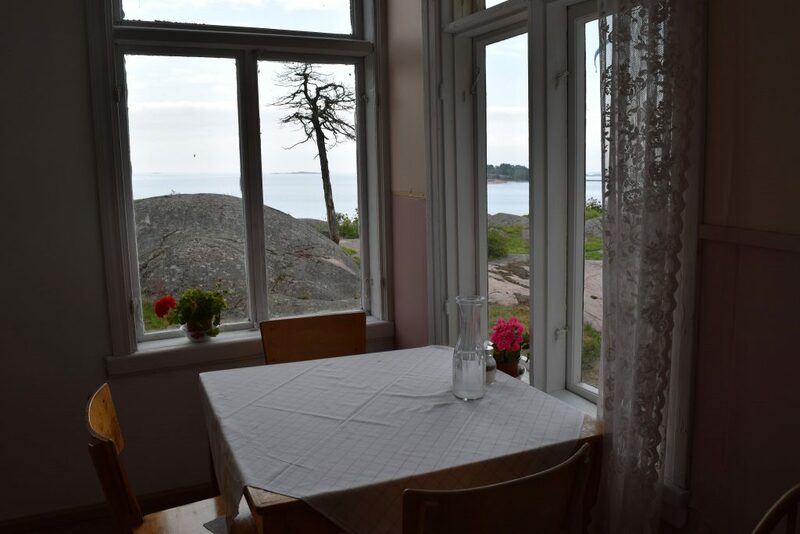 Pensionat Villa Tellina offers the most gorgeous sea views through Hanko -esque lace curtains. As a cosmopolitan bride, I know a wedding town when I see one. Hanko is definitely “the” wedding location of Finland if you ask me – and if it was in Denmark it would be making millions by now. 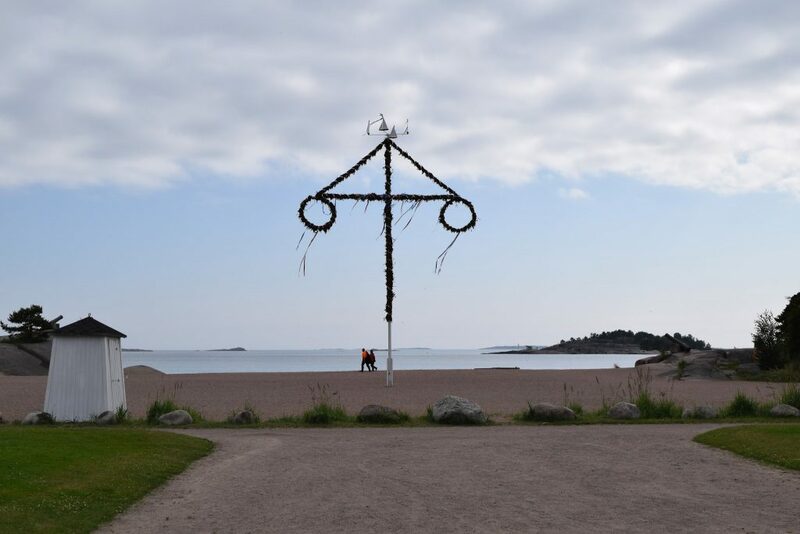 Hanko and neighbouring Raasepori seem to have everything a wedding region needs to be a hit, yet they are not making the most of it. 2. Hanko gets pretty quiet in the winter time – something that doesn’t necessarily need to be that way – wild winter weddings, that’s all I’m saying! 3. What the area needs is a few feisty people, including a brand manager, just like the Danes have. And of course, great community spirit to make things happen. If you haven’t been following my series from the wedding island this summer, check it out now. This week even the New York Times followed in my footsteps and visited the tiny island of Aeroe, Las Vegas of Europe (minus the plastic). 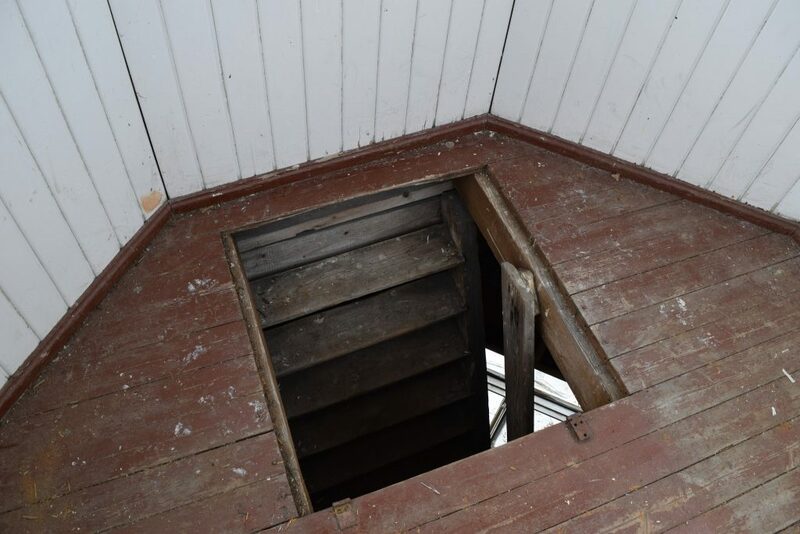 …after spending a night in the very bed C.G. Mannerheim slept in!? The view from the Casino – a perfect beach setting. Getting hitched in Hanko is just fun! 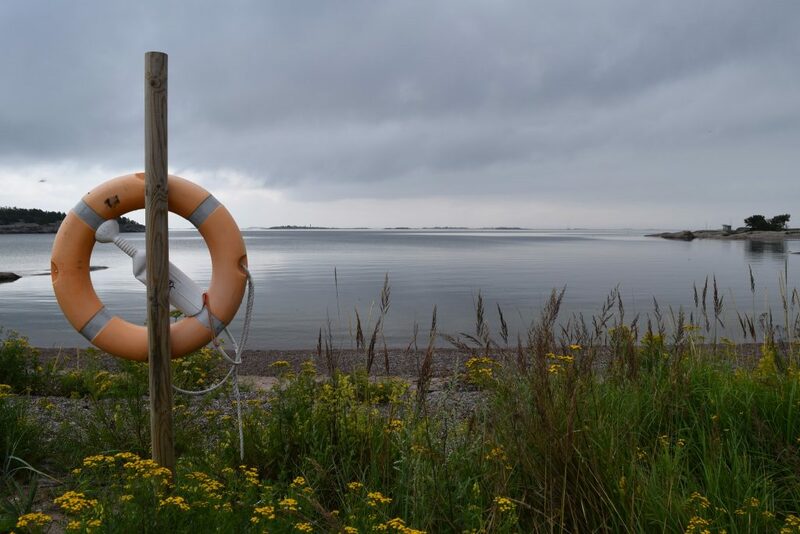 On my getaway to Hanko I met some friendly people, just by taking a walk along the gorgeous sandy beaches – which there are 30 km of, by the way. First I bumped into a very excited couple outside the town’s Casino, a popular wedding venue. It turned out they were the proud mother and father of a bride, making the last finishing touches to the decorations of an extremely cool-looking beach wedding. I sort of got invited to the church by the mother of the bride but decided not to upstage the bride. I was on holiday. The sign for skinny dipping did tempt me though! I hope the happy couple had loads of fun – the weather really couldn’t have been better. Btw: This couple had decided to come and get hitched in Hanko from as far as Abu Dhabi so organising your wedding in Hanko from afar clearly isn’t a problem. 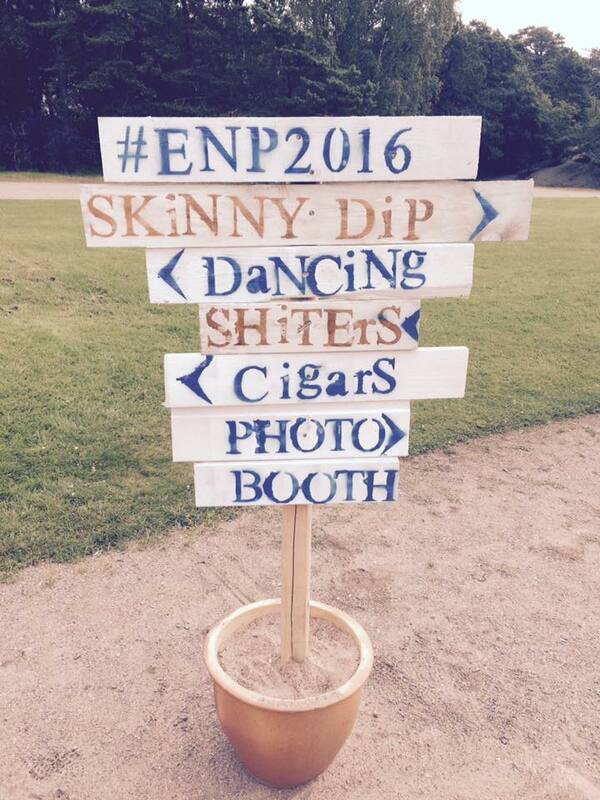 Congratulations, well done and happy ever after, #ENP2016! May the force be with you. For me this wasn’t the first time in Hanko. I’d already seen it in the autumn (oh-so-romantic), winter (wild!!!) and in the heat of the summer (Ibiza). So I knew what to expect: book your stay early! But the one thing that surprised me again was the town and its people’s decidedly un-finnish relaxed mode, which captivates your mind just like the endless horizon draws your gaze. Hanko forces you to relax from the word “go”. And before you know it, you’ve planned your next stay whilst enjoying the deep house beats at Beach Bar Plagen. 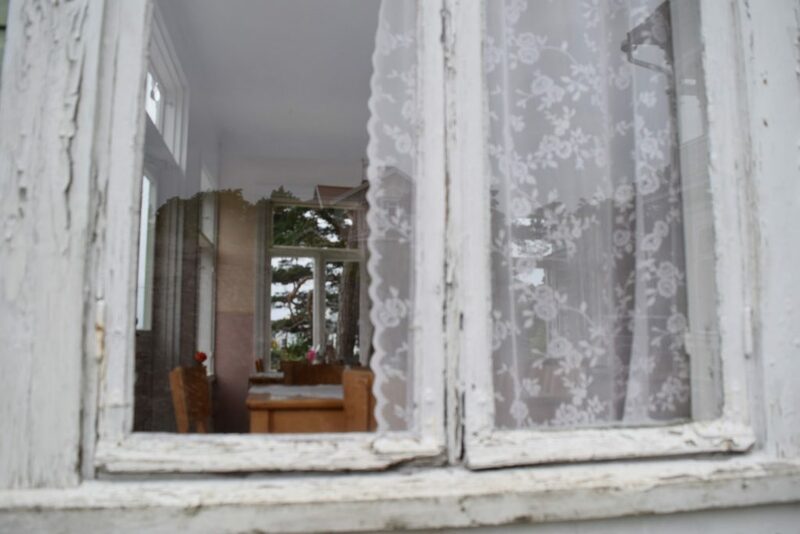 Villa Tellina has a lot of regular guests who return year after year. 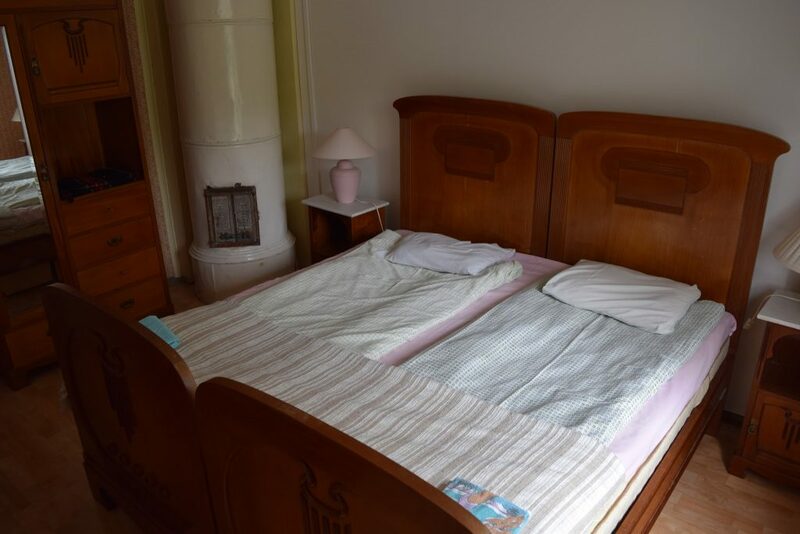 Mira Haahti and her husband Christian, who run both Villa Tellina and neighbouring pensionat Thalatta (on the other side of the road), always leave a room available for anyone wanting to extend their stay. 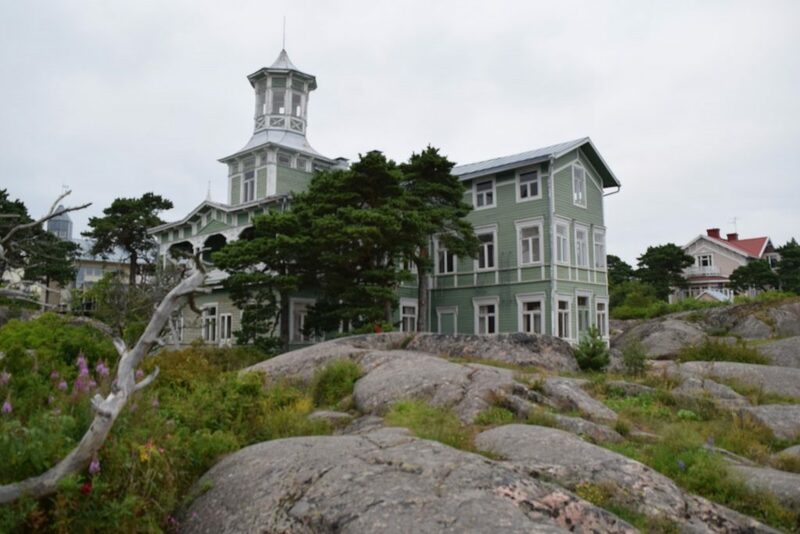 So even if you decided to get married in Hanko on a spur of a moment, they may well be able to accommodate you – a real rarity in a traditional Hanko “lace villa” during high season. The rooftop tower of Villa Tellina is not for the fainthearted. 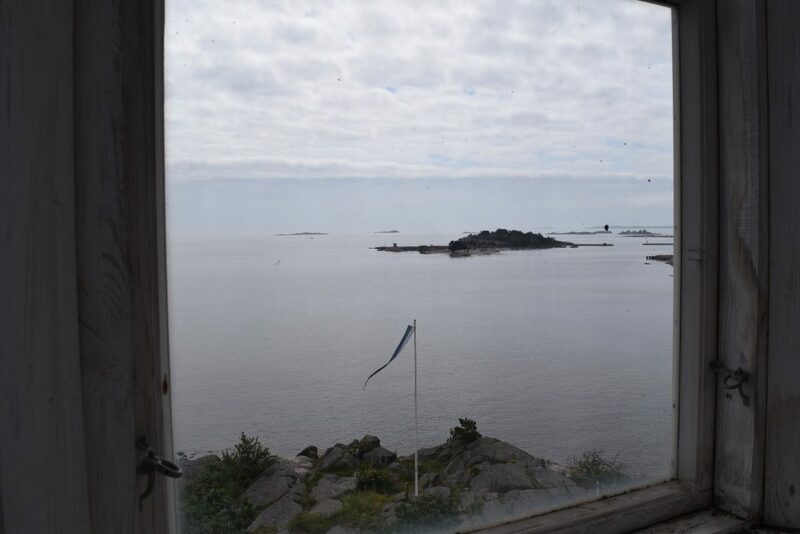 Hanko is the sunniest place in Finland – and even when it’s cloudy it beats most places.